Our pasties are made fresh in Cornwall by the UK’s leading handmade Cornish pasty manufacturer the ‘Proper Cornish Food Company’. Cornish to the core, they are based in Bodmin in beautiful North Cornwall. 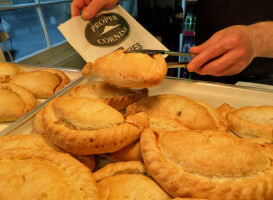 Cornish produce is used wherever possible and their pasties are made from an old traditional Cornish family recipe handed down through generations. 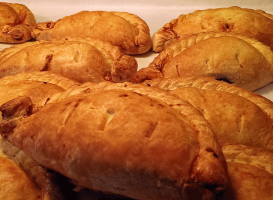 The Proper Cornish Food Company have been making pasties since 1988 and dedicated to sharing the delights of Cornish fare. 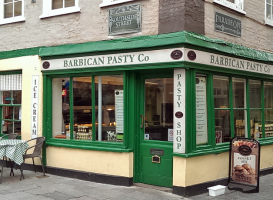 There is still a great deal of debate as to the true origins of the pasty, but there is little doubt that the pasty has a long and famous Cornish history. Early references to pasties include a letter from a baker to Henry’s VIII’s third wife, Jane Seymour, that states “hope this pasty reaches in better condition than the last one…”, as well as quotes in some of Shakespeare’s plays, including All’s Well That Ends Well: Act IV Scene III – PAROLLES: “I will confess to what I know without constraint: if ye pinch me like a pasty, I can say no more”. 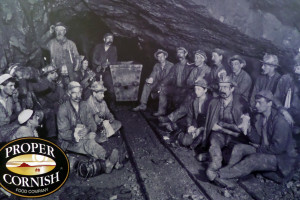 The pasty’s best known association stems from the 1800s when it evolved to meet the needs of the Cornish tin miners. 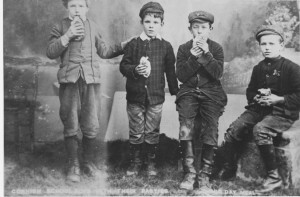 The pasty was a complete, hand-held hot meal, usually consisting of meat, potato, onion and swede in a pastry casing. Mines often built large ovens on the surface to keep the pasties warm until it was time to eat. The shout ‘Oggie, Oggie, Oggie’ is said to originate from Cornish miners calling for their pasties (also known as oggies or tiddy oggies). The thick crimped edges were originally for holding the pasty whilst eating, to avoid being poisoned by the arsenic sometimes found on their fingers. This crimping was then left for the mischievous ‘Knockers’ (ghosts) which were said to exist down the mines. 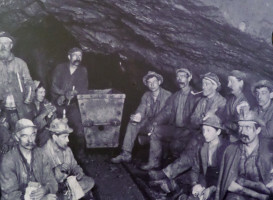 It is often said that it was the miners emigrating from Cornwall after the collapse of the tin mining industry which led to the pasty’s national and international spread. Variations of the pasty can be found throughout the UK and the world. It is particularly popular in parts of the United States, Mexico, Argentina and Australia. However, any Cornish man or woman will tell you a true Cornish pasty can only be made and baked the traditional way in Cornwall. 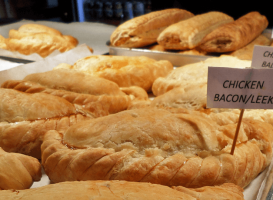 The pasty holds a special place in Cornish hearts and in Cornish culture. For many the pasty is the greatest symbol of Cornwall.